Step behind the hotel room doors of The Chatsfield, London... 1921, London The first time the doors open on London's newest hotel – The Chatsfield - disillusioned soldier Justin York expects to be bored by the wealth and glamour on display. Instead he's entranced by the star of the show – socialite Miss Vera Milton-Kerr... Vera's felt nothing but ice in her veins since The Great War, but Justin's dark-eyed gaze has her burning up! 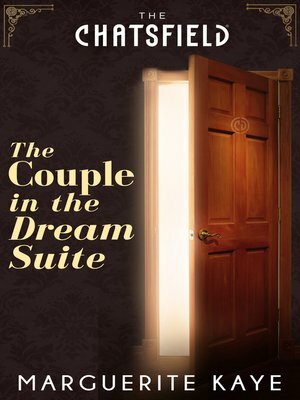 With a key to The Chatsfield's legendary Dream Suite, he offers her one night only... Resisting their chemistry is impossible, but hoping for more than one frenzied night is Vera's biggest risk of all!